The insurance representative gives advice on Residence Insurance, Building Insurance, Life, Health, Household, Third-Party, Vehicle Insurances & Pension Insurance Funds as well as various Investment Opportunities. The Society for Prevention of Cruelty to Animals in the Prefecture of Rethymnon on the island of Crete also runs an adoption service for cats and dogs. Flight escorts wanted! 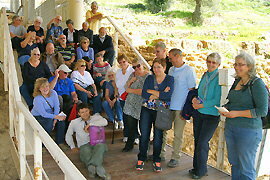 The community of foreigners who settle in Crete organizes day and weekend excursions, archaeological lectures, joint meals, games afternoons and other social activities. 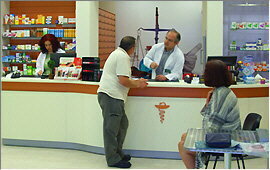 The chemist and his assistants in the big pharmacy in Rethymnon's hotel suburb of Adelianos Campos speak in total 7 languages. 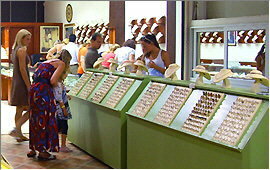 During the tourism season extended opening schedule. 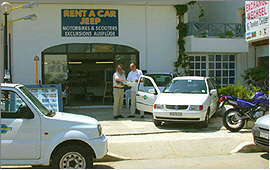 Budget rental cars with fully comprehensive insurance (no deductible / self risk) can be found at the car rental agency Eurocars Crete. 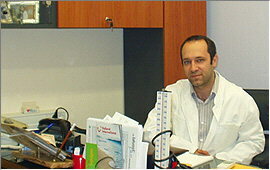 Dr. Tzagarakis comes from Germany and attended the universities of Munich and Patras. 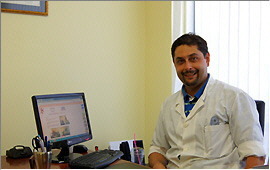 He runs his office in Rethymnon's hotel suburb of Adelianos Campos together with Dr. Andreas Papadakis MD who also studied and worked in Munich. 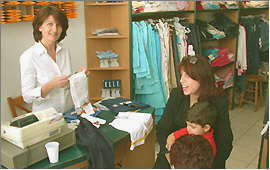 At the Junior Center in Rethymnon's pedestrian area they sell outer wear, underwear, pyjamas, swimsuits, and stockings for girls and boys in all sizes. Mrs. Papadaki-Ninou attended the university of Erlangen - Nuremburg in Germany. Her office in the town center of Rethymnon is equipped for the latest methods of dental treatment. The biggest shop for gold and silver in Rethymnon's hotel suburb of Adelianos Campos offers a rich variety of beautiful pieces of jewellery, a steadily changing trendy assortment, an experienced team, and individual advice in several languages. In their shop in the town center of Rethymnon, Annika Schneider and Caroline Austen arrange the planning and organisation of festivities for weddings, baptism, anniversary, family and other celebrations in the district of Rethymnon and in the neighbourhood. 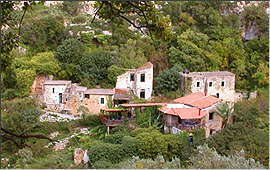 The taverna inside the gorge of the same name is famous for its rustic environment and for the fresh vegetable which they grow in their own garden.